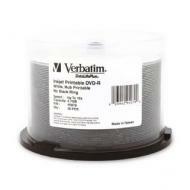 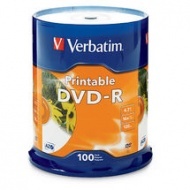 Combining an exceptional inkjet printable surface with Advanced Azo professional grade recording performance and reliability, Verbatim White Inkjet Printable discs are the ultimate choice for developing, customising and distributing DVD content. 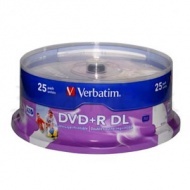 These discs have been extensively tested and qualified for use with DVD/CD Inkjet printers and... more duplicators. 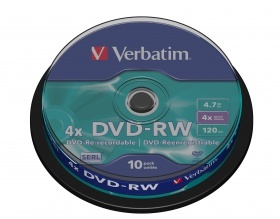 Perfect for low volume DVD duplication, these discs allow users to customise their DVD titles with beautiful full colour art. 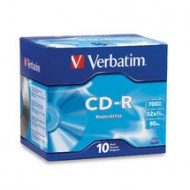 CD-R 80 Min Jewel Case 10 Pk 52xKey Features:Blue super azo recording dyeCrystal surface layerHigh UV resistanceLifetime warranty Please Note:Item V41846 is now priced as a pack of 10 and is no longer priced as individual units. 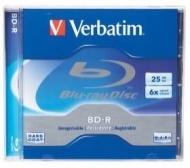 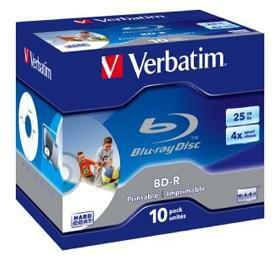 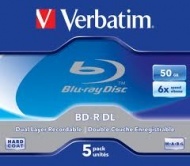 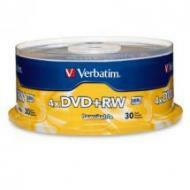 Verbatim Blu-Ray 25GB 25Pk Spindle White Wide Inkjet 6x : 43738Key Features :6x RecordingWide Inkjet for edge to edge printingSupported by Sony, Pioneer, Panasonic, SamsungRecordable format for HDTV recording and PC data storage Utilises a blue-violet laser to read and write data allowing for more data storage on a disc with the same size as a... more CD/DVD Wide power margin of Verbatim BD-media ensures superior drive compatibility Super hard coat protects data from scratches BD-R recording hardware is required for recording Blu-ray player can also be used for BD-R media playback. 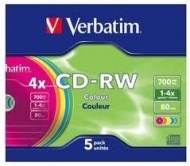 DataLifePlus CD-RW 80min Colour slim case 5pk 2x-4xKey Features:Write and rewrite up to 1000 timesColour coded for ease of filinglifetime warrantyPlease Note:Item V43133 is now priced as a pack of 5 and is no longer priced as individual units. 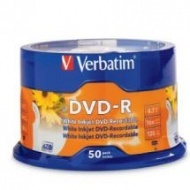 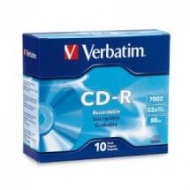 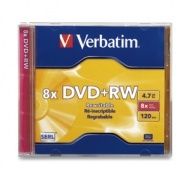 CD-R 80 Min Slim Case 10 Pk 52xKey Features:Compatible for maximum 52x speed recording Backward compatibility with existing 1x-48x drives Ideal surface for referencing using CD markers or labels Verbatim Lifetime WarrantyPlease Note:Item V94935 is now priced as a pack of 10 and is no longer priced as individual units.